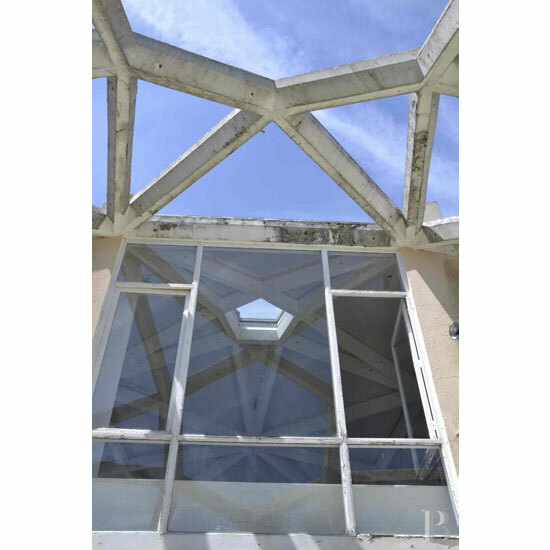 Some of you might recall the Les Trois Coupoles villa we featured recently when it hit the market. 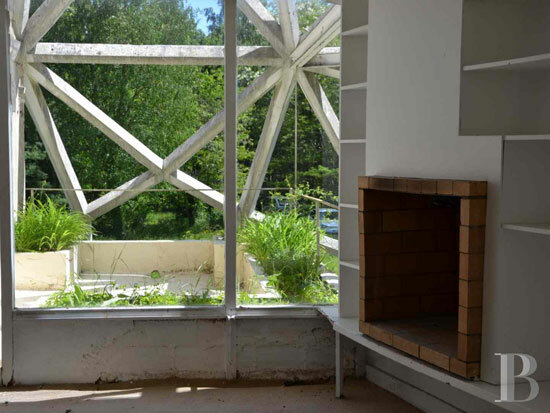 It seems that the house isn’t the only one on the market by that particular architect. 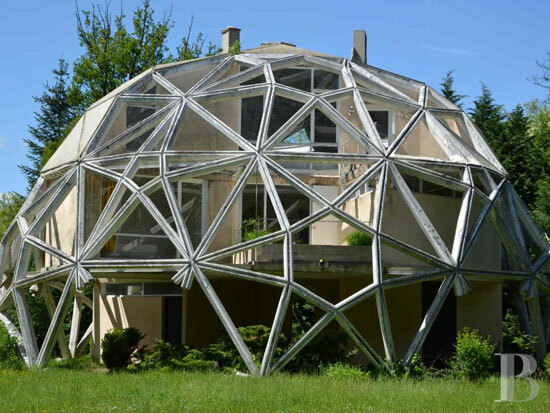 This 1970s Jean Daladier-designed La Géode property in Yonne, Burgundy, France is also up for sale. It is actually from the same experimental development, albeit a few years on. 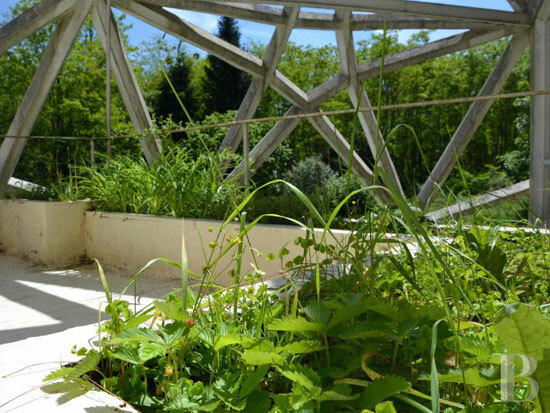 Like that last house, this one is a prototype, the third such house built and supported by the French Ministry of Construction, which was attempted to create a low cost house of the future. Like that other property, it is also listed in France. 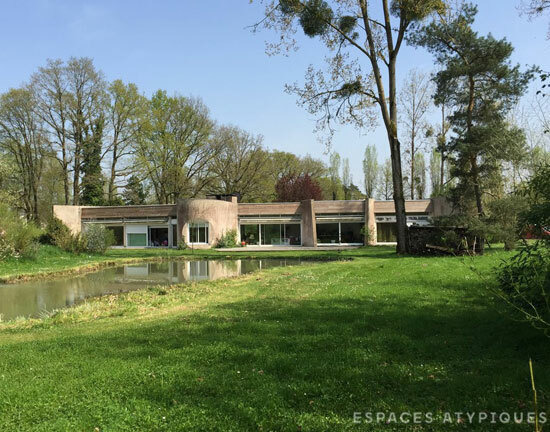 You will find the house in the Burgundy area and in five hectares of land. As for the house, well that’s really something special. 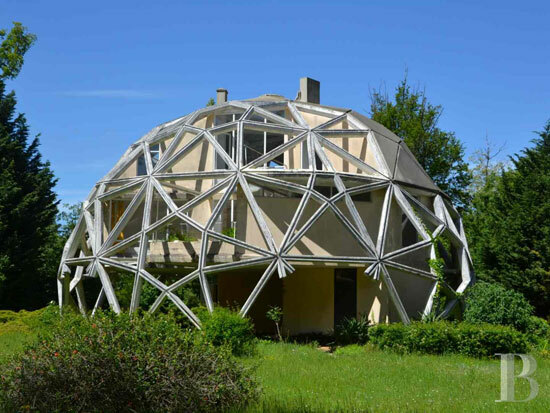 Based around the desired criteria of flexibility, adaptability and standardisation, the building is a geodesic dome, specifically a polyhedron with twenty triangular sides and twelve pentagonal sides. 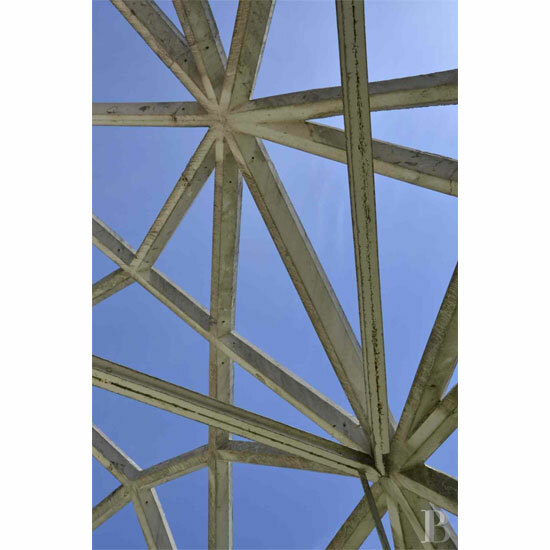 There’s also self-supporting webbing made up of concrete ribs connected by knots, while the triangular surfaces are partially closed by full and glazed watertight panels. 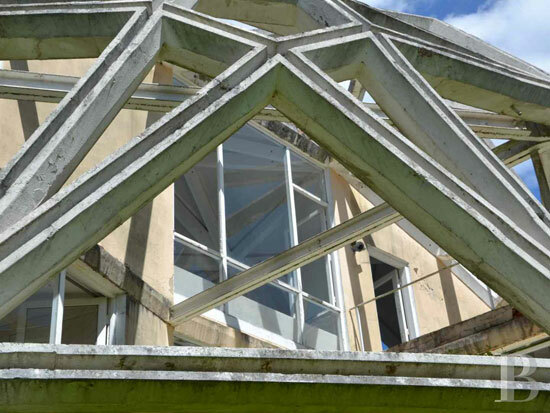 Finishing things off is a covering of chipboard, a layer of plastic ensuring everything is watertight and steel ties, which stabilise the geode by stiffening its framework meaning there are no load-bearing walls. Ok, engineering bit over. Let’s move onto space. There are actually three floors here. 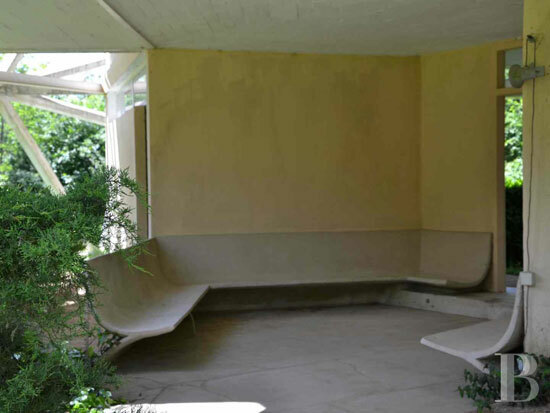 The ground includes a covered passageway, a guest bedroom and a room used as a ‘machine room’ but is now a lounge and which opens up onto a clearing complete with curved concrete benches. An outside stairway leads up to the first floor. 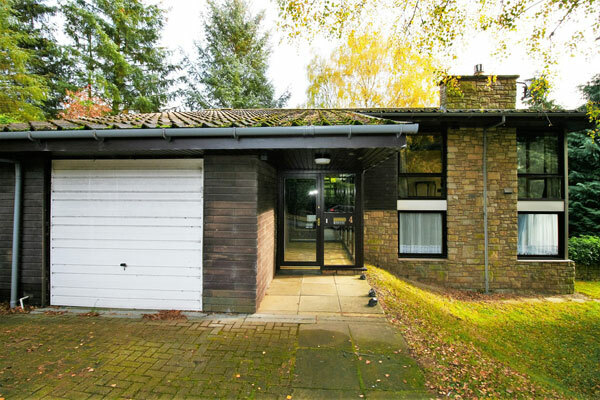 That larger floor includes a communal area of dining room, kitchen and lounge in a single room, with a ‘small, plain’ fireplace and bookshelves also found here, as is a large picture window, which opens on to a small hanging garden. Finishing things up is a bedroom, also looking out onto the hanging garden, plus a further bedroom and a bathroom behind partitions. 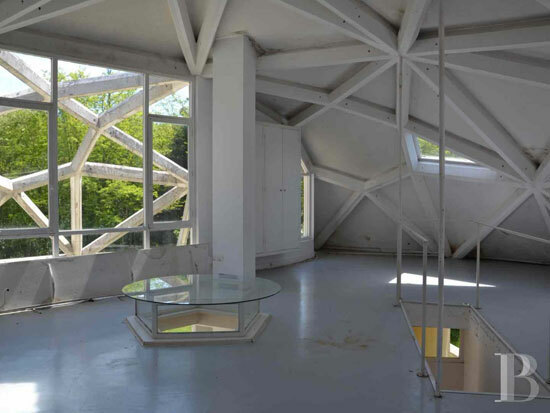 Finally we get to the second floor from a partitioned stairway, which hosts one ‘spacious, round’ room under the dome with large picture windows and a terrace. 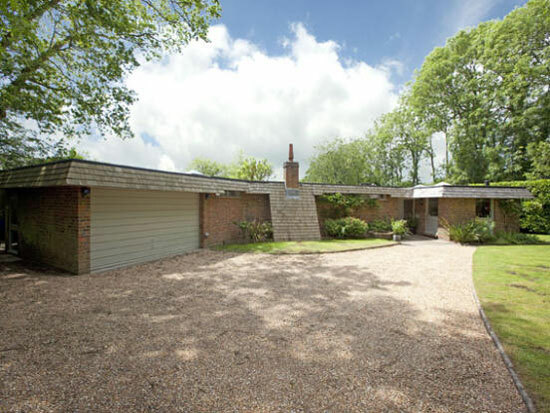 Outside is the ‘carefully landscaped’ clearing, also the work of the architect and working as one with the house. 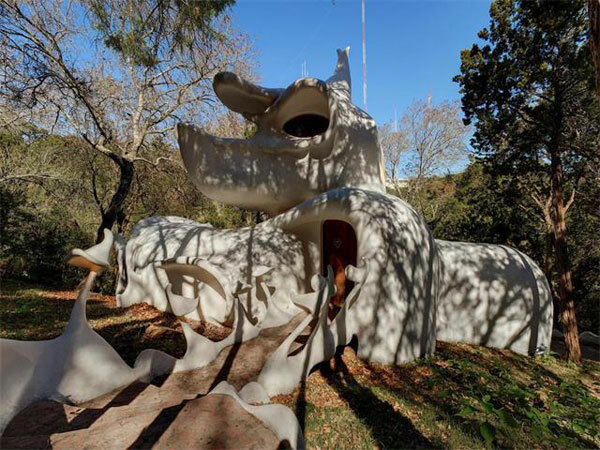 If you want to walk a little more on the wild side, this place is on the market for €390,000. Images and details courtesy of Patrice Besse. For more details and to make an enquiry, please visit their website.